The Red Nation with the Immediate Action Group in Gallup, N.M. Most celebrate “Black Friday” by shopping. For The Red Nation, its allies, and the Albuquerque community, last Friday was “Red Friday”—a community-led initiative to collect winter gear for unsheltered Native people in Gallup, N.M. The situation in Gallup is deadly. Last winter, 20 unsheltered Native people froze to death. Due to El Niño and climate change, this winter is expected to be abnormally cold and wet. Since the city of Gallup has taken no action, it is largely responsible for these unnecessary deaths. Active discrimination against Natives and the overall hostile atmosphere has led the community to take matters into their own hands to prevent further suffering and death. 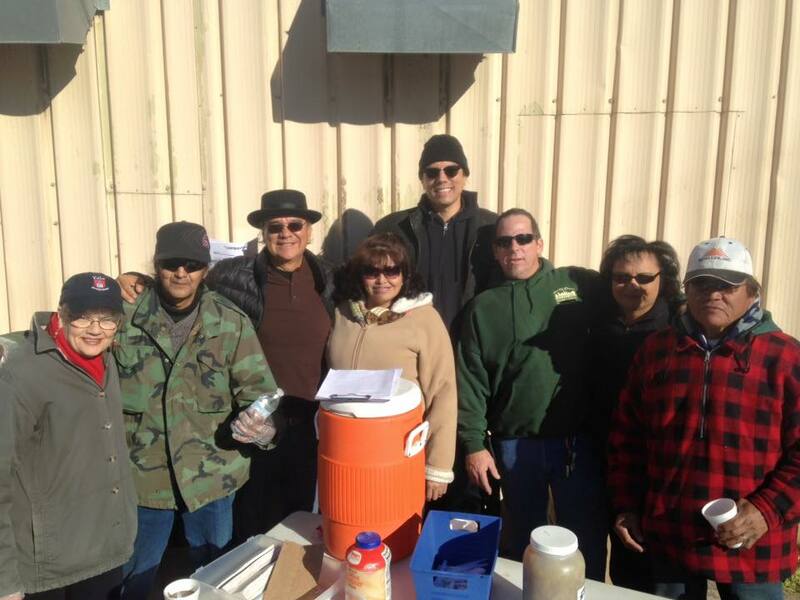 As part of the bordertown justice campaign, The Red Nation has worked with Grammy-nominated artist and activist Radmilla Cody’s “For the People” initiative and the Immediate Action Group of Gallup, N.M. to collect donations for unsheltered Native relatives. This diverse coalition demands no exposure deaths this winter as part of the #NoDeadNatives campaign to hold Gallup accountable and to demand justice. The Immediate Action Group (IAG) in Gallup formed last winter to offer direct services, where none existed or were denied. A coalition of faith groups and concerned community members, IAG volunteers describe their organizing premise with one word, unity. 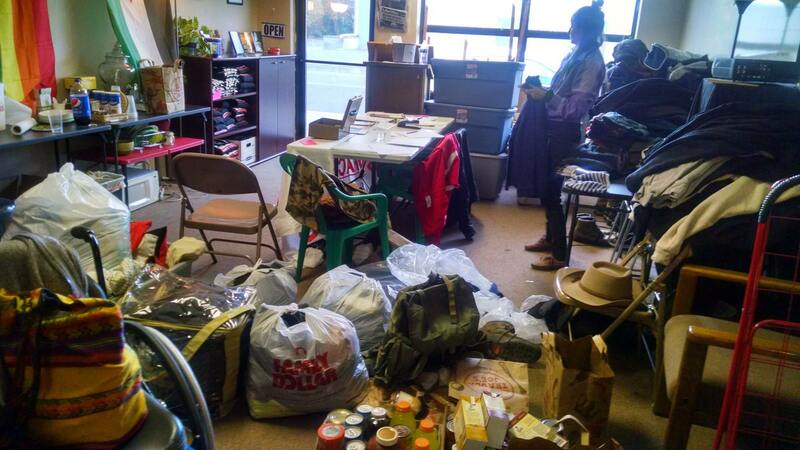 Every Saturday morning, for the past year, IAG provides warm food, blankets, and winter gear to unsheltered Natives. They have faced city opposition and braved subzero weather to give necessary services, when the city chose not to. For the “Red Friday” event, The Red Nation and volunteers collected hundreds of items of winter clothing, blankets, sleeping bags, and backpacks IAG. Many volunteered time and energy to make this event a success, and the donations exceeded the expectations of many. Expectations for the Red Friday donation drive were exceeded. Volunteers collected for eight hours, sorted, packed, and delivered donations to Gallup. This outpouring of support demonstrates a clear recognition of the racist and murderous treatment Native people receive in Gallup. IAG’s goal is to provide emergency services with the hope of mobilizing the Gallup community for long-term solutions. Part of the battle is raising awareness about discrimination against the poor and homeless, which are a mostly Native. A bordertown of the Navajo Nation and the Pueblo of Zuni, roughly half of Gallup’s population of 20,000 is Native. The county seat of McKinley County, the poorest county in New Mexico, the city has the highest concentration of predatory lending stores, mainly to target poor Natives on- and off-reservation. A multimillion dollar a year liquor industry, with 39 liquor licenses (more per capita than most major cities) also exploits already vulnerable people. Native-generated business keeps the Gallup economy afloat, yet Natives have no political power in the city. Since July 2013, community members have counted over 180 unnatural deaths of Natives, which includes hit-and-runs, murders, dying in the custody of the detox center, exposure deaths, and car wrecks. Gallup creates and promotes the social and economic conditions that continue to reap huge profits from Native death and misery. The Red Nation and its allies demand an end to these brutal practices. Part of this struggle begins with filling the void of essential services. The other part requires immediate action to hold the city accountable and demand justice for the immense amount of life already destroyed.